Claypaky is a leading provider of luminaires that is used to create fascinating and exciting light. To its collection, there is one more addition that may change the lighting effects during events and live shows. 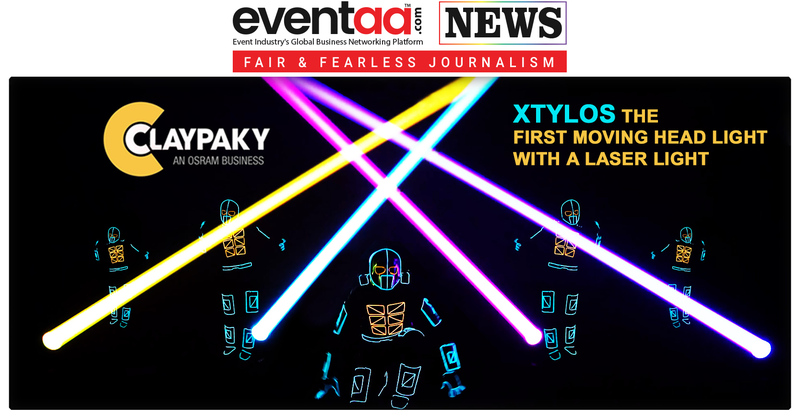 Xtylos by Claypaky is an innovative, compact beam moving light making use of a tailor-made laser source (Patent Application filed). The Xtylos is the first moving head light with a laser light source, and this opens up new, surprising prospects for the development of the entire entertainment lighting world. It features an RGB additive color mixing, where colored light beams are as bright as a white light beam. The Clay Paky laser beam emits tremendous light rays, adding brilliant punches of colour big enough to cover the entire event arena in all direction.